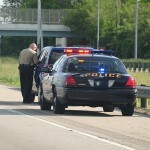 When you are suspected of DUI in California, can the police force you to give them a blood sample? If you refuse, can they restrain you and take a blood sample against your will? Like most aspects of DUI law in California, the answer isn’t clear-cut; a lot depends on particular circumstances. In fact, the only thing certain about DUI in California is that if you’re charged, you’ll need help from a good California DUI defense lawyer. Let’s say you are driving home after a drink or two. You’re pulled over by the police, and you fail the field sobriety tests. The police ask you to take a breathalyzer test to determine your blood alcohol concentration (BAC) level, and you refuse. At this point, you may be arrested and taken to a hospital or other facility where a healthcare professional can draw a blood sample. The police clearly explain to you that your refusal to take either a breath or blood test will automatically mean the loss of your driving privilege for at least a year. Still, you refuse. At this point, are the police allowed to restrain you and take a blood sample by force? It depends. In a case named Missouri v. McNeely, the U.S. Supreme Court ruled that in this situation, officers must have a warrant to obtain a blood sample forcibly, unless there are good reasons why a warrant cannot be obtained at that time. Otherwise, taking a blood sample by coercion is a violation of the Fourth Amendment, which forbids law enforcement from conducting unreasonable searches and seizures. In most cases, the police need a warrant to take a blood sample against your will. It may be wiser to submit to the blood test; a good DUI defense lawyer can challenge the results later. Whether a warrantless, coerced blood test is “reasonable” is determined by the courts case-by-case. In southern California, if you are charged with DUI, get the legal help you need right away; call an experienced Orange County DUI defense attorney. In some cases, and particularly if your rights were violated by the police, a DUI charged can be reduced or dismissed, but you’ll need the advice and services of an experienced Orange County DUI defense attorney. 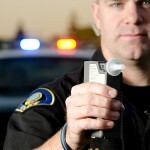 If you face a DUI charge in southern California, now or in the future, protect yourself and make the call.